In late 2008, Panasonic launched the Lumix DMC-G1, the worlds first Micro 4/3 dSLR system. Shortly thereafter, the highly anticipated Lumix DMC-GH1 was introduced, which is basically an updated G1 that adds one feature that was missing from its predicessor; HD video capture. 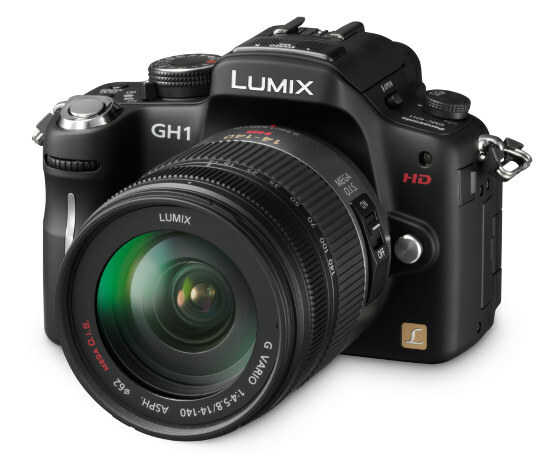 The second Micro 4/3 model Panasonic has released, the GH1 offers advanced video options with the ability to record AVCHD 1080p (24fps) HD video. In addition, Panasonic has added a variety of supporting feartures, like Stereo microphones, an external microphone input, and a newly developed Micro 4/3 lens; the LUMIX G VARIO HD 14-140mm/F4.0-5.8 ASPH./MEGA O.I.S. This new M4/3 lens was designed specifically to compliment the GH1's HD video function, with features like a silent AF motor and continuous auto focusing.